Sorry to have been gone so long my friends. Wow I'm so sorry this hasn't been updated in over a year. I've been extremely busy working on Magazine stuff and book stuff. If you haven't read below, I published a book you can buy now..... AND I have a 2nd one I'm working on right now! Every day I post on my various social media connections. I'm checking these constantly and updating them daily. So if here is to slow, you can contact me directly through any of these means. But I thought I would share my last big adventure, the Muscle Car and Corvette Nationals! 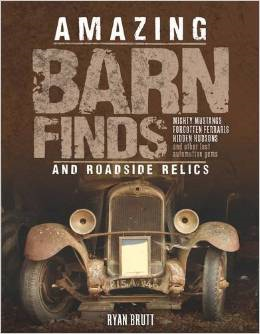 I organize and try to assemble the variety of "barn find" and hidden gems for the show. This year I had the luck to have four cars I personally photographed in "as found" condition come to the show!